The capital of South Korea, Soul is a city of incredible contracts. After Korean war city has risen from the ashes to become a modern metropolis with a population of 11 million. By the estimates Seoul rates as the fifth largest city in the world. Soul dates from the establishment, in 1392, of the Yi dynasty, which ruled Korea until 1910. Nestled around the Han River is the Korean capital Seoul, a city of old and new. With thousands years of history, it has well preserved royal palaces, historical relics, and cultural treasure, yet state-of-the-art facilities and infrastrucure as well. There are 12 urban districts on the north side of the river and 10 districts on the south. The city is further subdivided into 494 neighbourhoods. Just 41.5 km south of Seoul, Suwon is an ancient fortress city. Intending to move the nation´s capital to Suwon from Seoul, King Jeongjo who was the 22nd Joseon Dynasty ruler built a 5.74 km circular fortress wall, from 1794 to 1796. Today you can walk along the entire wall, which was designated by UNESCO in 1997 as a World Cultural Heritage. 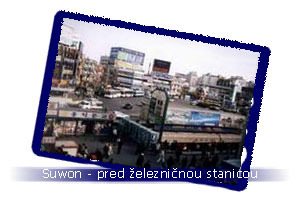 Suwon's population is about 650 thousand people. Comparing it with the Korean capital, we can say that it is small town. Suwon is famous for its delicious beef ribs, Suwon Galbi, marinated and charbroiled. Suwon´s neighboring Yongin is a popular tourist destination with many famous attractions such as the Korean Folk Village, the mammoth amusement theme park Everland, and several nice golf courses. A gateway for sea transport to China, Incheon now aims to emerge as a major Asian air hub as well. 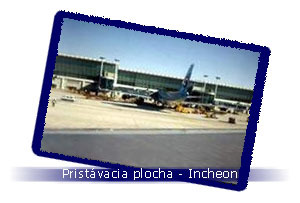 The new Incheon International Airport is scheduled to begin operations in April 2001 on land reclaimed from the sea. Well-known as the site of General MacArthur´s landing in 1950, Incheon commemorates the triumph at both Freedom Park and at the Memorial Hall for the Incheon Landing Operation. There is Wolmido with its unique mixture of cafes, seafood shops and amusement rides, or an hourlong pleasure boat ride. Just a short drive from downtown leads you to Ganghwado Island and its highest mountain Maisan with an altar on its summit: this is Chamseongdan where Dangun, the founding father of Korea, made offerings to God, and the torch relays for all Korean sporting events begin. 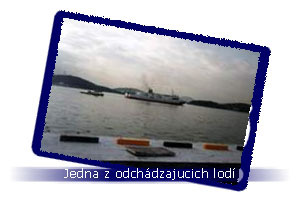 Ferries ply various intersting island off Incheon, with friendly local villagers and fishing communities. Sokch'o is a sprawling town north of Soraksan almost entirely surrounding a lagoon with a narrow outlet to the sea. Fishing used to be the major industry here, but tourism has proven far more lucrative. There is in principle nothing interesting, about the town itself, but for tourists it is very useful base for exploring Soraksan. There are many cheap yogwans in the town where travellers can stay for a night. There are also many places to eat. For the Koreans, the seafood restaurants are a major drawcard. It is possible to use two bus station, the inter-city bus terminal in the centre town and express bus terminal far from the centre. These terminals are connected by local bus No 2. Andong with its population about 200 thousand people belong to smallers towns in Korea. 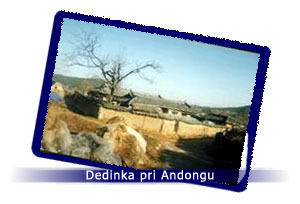 The whole area surrounding Andong is notable for having preserved much of its traditional charakter. 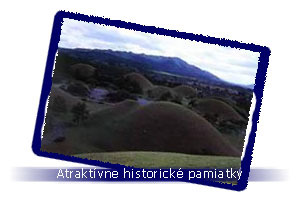 Though Andong itself is not very interesting but there are numerous interesting places to visit in the vicinity. So, most of Andong's sights are outside the city. Between beautiful places belong Hahoe folk village. Tourist can find a 16th-century Korean settlement. This is most picturesque village. There are many places to stay, called minbak. This type of accomodation belongs to the cheapest one and are very popular. Located in central Korea, Daejeon is a representative science city. The Expo Science Park, Daedeok Science Town, and the National Science Museum make Daejeon a future-oriented, high-tech science center. Yuseong Hot Springs, 11 km from downtown, gained nationwide fame for its healing power ever since the Baekje Kingdom (18 B.C. - A.D. 600). Within city limits lies Daecheongho Lake with a beautiful lakeside drive that attracts young couples. Mt. Bomunsan is another tourist site dotted with Buddhist temples and hermitages, you can take a short cable car ride or walk the trails. Daegu /Taegu/ is the third largest city in Korea. It's population is about 2,5 million people. Famous for its sweet and juicy apples and textile industry, Daegu has been the country´s major retail center for medicinal herbs for several centuries. The items cover ginseng, fungi, nuts, fruits, honey, leaves, deer antlers, a cornucopia of roots, etc.Woobang Tower Land, an amusement theme park, has Daegu Tower featuring a panoramic view of the whole city. Located in the north part of Daegu is Mt. Palgongsan, considered a sacred mountain. It houses Buddhist temples a thousand years old, such as Donghwasa and Pagyesa. Gatbawi, a stone Buddha image, attracts many to pray, as legend has it that people´s wishes are grabted. Nicknamed "Home of Art," Jeonju is a center of the Korean culture and art. A local festival occurs on the Fifth day of the Fifth lunar month, Jeonju Daesaseupnori. It presents many traditional aspects of Jeonju through pansori (epic solo song), sijo (a three-versed Korean ode), folk songs and farmers music. Also as an epicurean capital of the country, no matter where you eat, food here is well prepared and plentiful. Best known among Jeonju dishes is bibimbap. Jeonju is home of Jeonju Yi clan, from which the Joseon Dynasty kings sprang. Several historic sites related to Yi clan including Gyeonggijeon Shrine which was built to enshrine the portrait of Yi Seong-gye, founder of the Joseon Dynasty, are still well preserved. This place is one of the most interesting in Korea. For almost 1000 years Kyongju was the capital of the Shilla dynasty although during Koryo in 918, the capital of Korea was moved far to the north. Today Kyongju is an expanding fairly compact city, though still relatively small population 300 thousand. 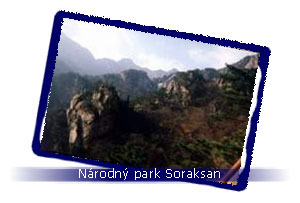 Kyongju is an open-air museum. In whatever direction you care to walk you will come across tombs, temples, shrines, the remains of palaces, pleasure gardens, parks, castles, Buddhist statuary and even an observatory. It is an incredible place. Up in the forested mountains which surround the city there are thousands of Buddhist shrines, temples, rock carvings, pagodas and statues. Just how you enjoy Kyongju really depends on your interests. 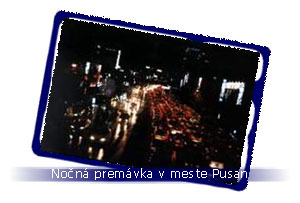 Busan /Pusan/ is the second largest city with its population about 4,2 million people. Busan is Korea´s principal port for international commerce. About 90% of the country´s container shipping passes through this port. Just a few minutes´ walk from the harbor are lively Gukje (International) Market and Jagalchi Fish Market which attract flocks of visitors from Korea and abroad. For seafood lovers, a variety of fresh fish are sold in the Jagalchi Fish Market where women merchants slice up fresh fish for instant sashimi meals. Only 40 minute subway ride from the downtown will take you to Beomeosa Temple which is surrounded by peaceful forest. The city was also selected as the venue for 2002 Asian Games. Busan is very interesting place with many attractions right in the city but also several kilometers further. Chinju is smaller city with its population abou 340 thousand people. Chinju is on the Namhae Expressway and is one possible base from which to explore the eastern side of Chirisan National Park. Chinju lies on both sides of the large Nam River, which is dammed upstream at the confluence with the Dokchon River. It is a pleasant city with a history going backto the three Kingdoms period. There's quite a large, partially forested hillock overlooking the river on which most of the historical relics and sites of the city are to be found. Chinju Fortress is the most interesting part of Chinju. It was built during the Koryo dynasty, but it was partially destroyed during the Japanese invasion. The wall was rebuilt in 1605. Inside fortress is also situated Chinju National Museum. The fishing port of Mokp'o is at the end of the railway line near the south-western up of mainland Korea. The population of city is about 260 thousand people. Mokp'o is a departure point for some of the cheapest ferries to Chejudo, and for ferries to the beautiful island west of Mokp'o. The most interesting island is Hongdo. The town itself is of little interest and most travellers only stay overnight. If you have some time to spare it is worth wandering along the waterfront near the ferry terminal to see the incredible number of octopuses for sale. It is also worth walking around Yudal Park, dominated by the rocky hill Yudalsan (230 m) which affords good views and sunsets. Along the south side of Yudalsan is an read which leads to Yudal Beach on the west side of town. Gwangju, called "City of Light" and "City of the Arts," hosts the Gwangju Biennale and holds the Kimchi Festival every October. At the eastern part of the city stands Mt. Mudeungsan with its tea plantations producing Chunseol ("spring snow") tea, and sweet montain-grown watermelons up to 50 cm in diameter and wighing 15 kg apiece. 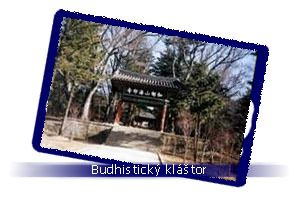 Some old Buddhist temples are situated on the slopes, including Jeungsimsa and Wonhyosa both founded during the Silla Kingdom (57 B.C.-A.D. 935). Gwangju citizens are also famous for their patriotism. This was a center for heroic army resistance against Japanese invasions of the late 16th century and the independence movement opposing Japanese colonial oppression from 1910 to 1945. 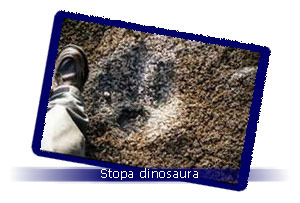 Also it played a leading role in the contemporary democracy movement. Ulsan is a leading industrial center of Korean industry, such as oil refining, auto manufacturing, petrochemicals, shipbuilding and machinery. Hyundai Heavy Industries and Hyundai Motor Company are based in this city. Ulsan is also famous as a producing center of quality amethyst, and there is a park themed on this enchanting violet stone. A short way from downtown are clean beaches: Jujeon wellknown for its black pebble beach and Jinha with its surrounding pines. Seogwipo is situated at the foot of Mt. Hallasan on Jeju Island, whose lower slopes are covered with citrus trees and green pasture. As it enjoys mild, sunny weather and clean environment, people flock for sightseeing, sports and leisure activities all year round. Much loved by tourists, the Jungmum resort offers a nice beach, beautiful waterfalls, public golf course, marine park, huge botanical garden and world-class hotels. Seafood is a must-try on Jeju Island. The city was chosen as a siter for summit among world leaders several times in the 1990s.